Pixie Dust Salts are small-batch, hand-cured cooking salts by Chicago-based founder Johanna Thompson. The lengthy curing process begins when the ingredients are at their freshest for the most vibrant, naturally-flavored salts possible. Sample & shop with Pixie Dust Salts at the Oak Brook Artisan Market at Oakbrook Center on Sat & Sun, May 18-19, 2019. This 2-day outdoor market showcases the Midwest’s finest artisans in fashion, food, home goods + art. Pixie Dust Salts has been replacing table salt in kitchens since 2013. Food-lover and all-around salty Chicagoan, founder Johanna is on a mission to make the world, and your meals, more savory. 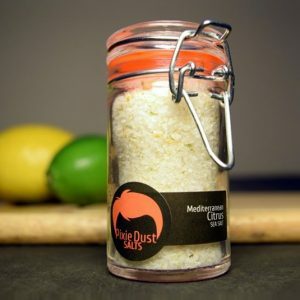 Cured with fresh, local and responsibly-sourced ingredients, Pixie Dust is delicious empowerment for people who love to cook – and especially those who love to eat. 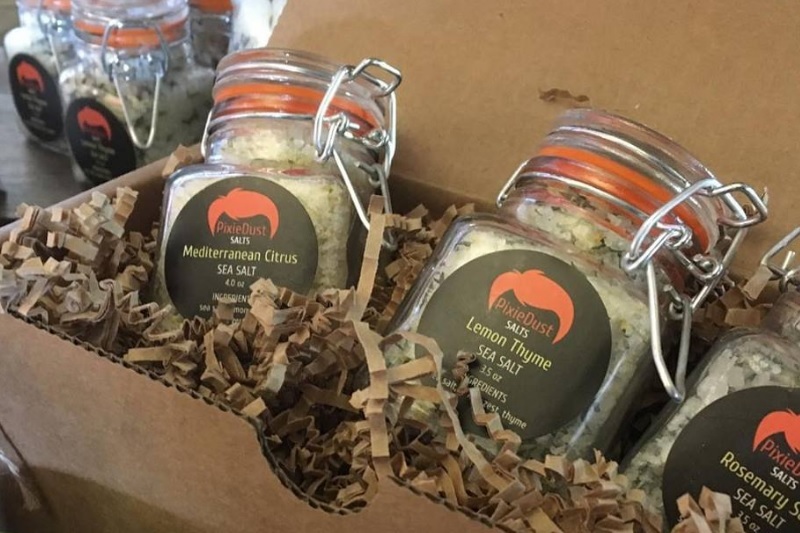 Salts come in 4 or 10 ounce jars or refill bags. Daily life can be bland, but your food doesn’t have to be. Begin your salty adventure today with Pixie Dust Salts which can be found seasonally at Chicago farmers markets, online in their Etsy shop or in the kitchens of your most savory friends.